While we still don’t have an official Fitbit app for Windows Phone, developers have made quite a few unofficial ones for the popular fitness tracker with varying degrees of success. Now Shane Chism has made his own because frankly, he wanted a fully optimized one for Windows Phone 8, including HD graphics. Fitbit Tracker is just that app and it’s now available as a public beta. That means you can download it now and give Shane feedback on things you would want to see implemented for the final release. Other than that, the app is extremely fast and fluid, especially for swiping to the different screens. By holding down on individual categories e.g. 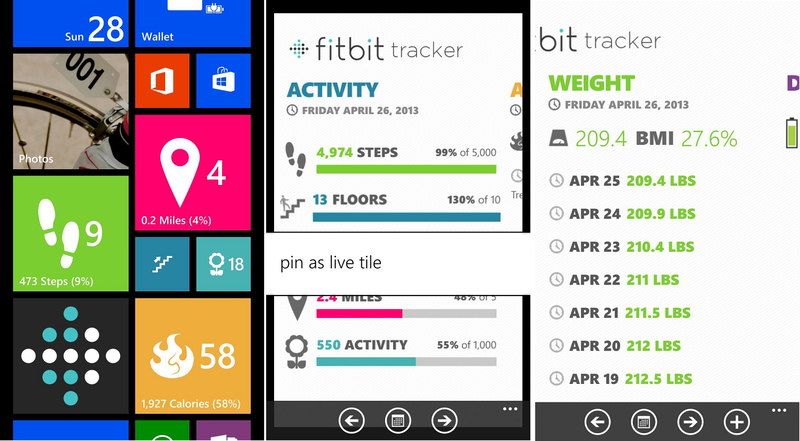 Steps, Floors, Calories, etc., you can pin those as individual Live Tiles to your screen, all with different colors. It’s a pretty great usage of Windows Phone and we approve. Users can also log activity (not food quite yet, though that’s on his to-do list), change days and do pretty much what the Fitbit API allows one to do but with an excellent, fluid design and HD graphics for us Windows Phone 8 fans. If you use Fitbit (and the Flex band just went on sale this week), then definitely give a go. Don’t forget to leave Shane some feedback here in comments and that Reddit thread if you have app suggestions—it’s only through your participation can Shane make a better app! 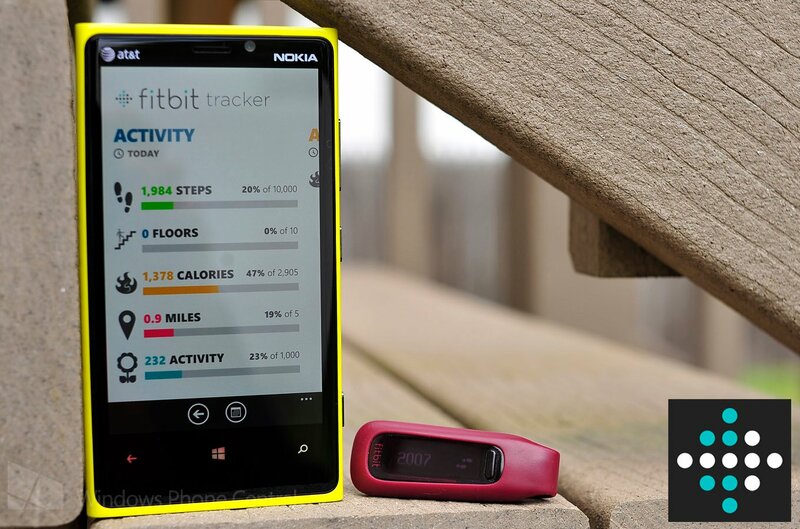 Pick up Fitbit Tracker for Windows Phone 8 (Public Beta) for free here in the Store. For more info on Fitbit, follow our Fitness Month discussion on the device (including comparing it to the Nike Fuelband) and their Aria scale.